Rather unexpectedly we've been offered a second tranche of the 2015 Vin de Constance. This is the last thing I would have expected. Last year we had a generous allocation and only one case of 6 made it as far as the shop: demand was very strong. So for those of you who missed out on this revitalised classic of the wine world then, here is a second chance. Born in a year of drought and devastating fire, 2015 saw some small changes in both vineyard and cellar. Newly lowered yields in the vineyard created one of the most intense vintages so far. It was the first year it had its own dedicated space and equipment in winemaking terms for handling the skin contact and slow fermentation. And this year the wine spent less time in cask than previously, making this one of the most elegant Vins de Constance ever. 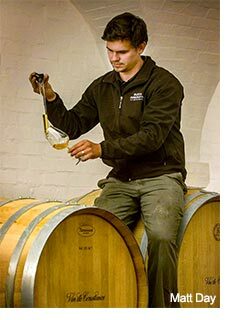 It is still made entirely from Muscat de Frontignan, and under the creative and detailed eye of young winemaking genius Matt Day, who quickly got to grips with both the vineyards and winemaking and has improved both.